Last February, Apple launched sales of their new BeatsX wireless headphones in Canada, priced at $179.95 CAD. These latest wireless headphones utilized the same W1 chip found in the company’s AirPods, which allows for easy pairing and fast charging. 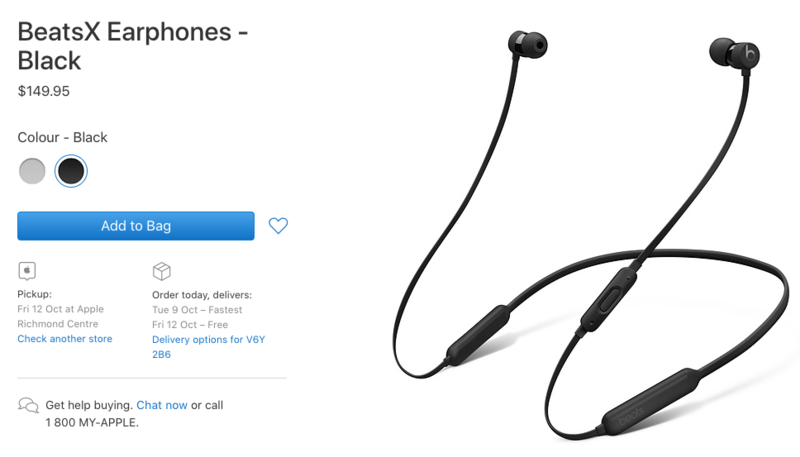 Fast forward nearly 20 months later, Apple has now dropped the price of BeatsX, now listed on their website for $149.95 CAD. This new price is also being reflected at authorized resellers such as BestBuy.ca and The Source. The price reduction—spotted by MacRumors—also has BeatsX reduced to just two colours: Black and Satin Silver. While the price drop is a welcome sight for many Canadians, we’ve seen BeatsX get discounted at stores such as The Source down to $99.99, earlier this summer. What does Apple’s price drop mean? It could signal a refresh is coming for BeatsX, possibly at the company’s rumoured October event, which many believe may take place in the weeks after Thanksgiving.